A modern interpretation of the original Rolex Lady-Datejust models, the Rolex Datejust 31 is an ideal dress watch for women who, in line with contemporary style, want their watch to pack a bigger punch. 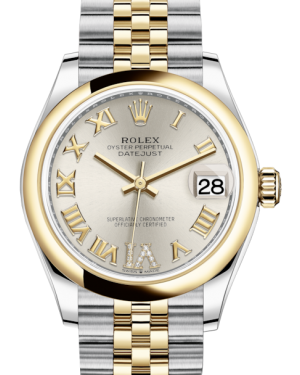 Despite its greater size when compared to the 26, 28 and 29mm versions, the dress watch retains both its classic appeal a clear sense of femininity. 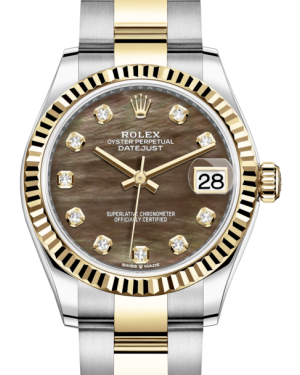 This is further enhanced by the presence of Mother of Pearl diamonds on the bezel and dial markers of some of the more expensive models. Of course, the defining characteristic of all Rolex Datejust timepieces is the date aperture found at the 3 o'clock position with a magnifying Cyclops lens, which improves the legibility of the display for easy reading. 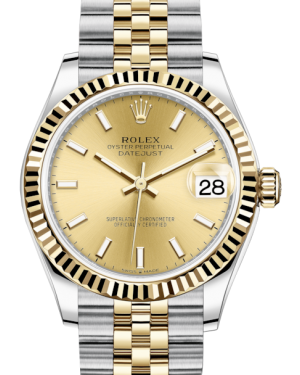 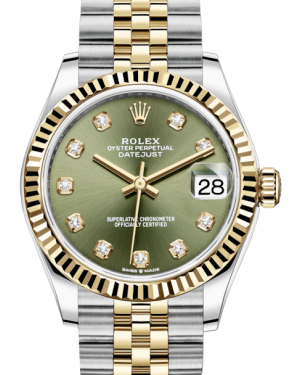 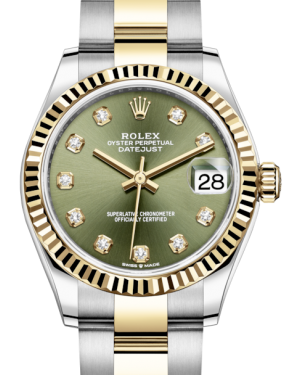 The 31mm Rolex Lady-Datejust Collection offers many different varieties of watches. To make it easier for you to find the Lady-Datejust 31 you desire we subdivided the collection based on Colors, Materials, Wristbands, Bezel Type and Dial Markers. 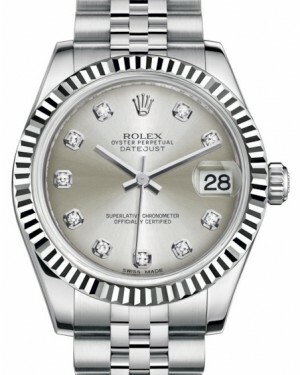 Do you prefer a full stainless steel watch with smooth bezel or a fluted white gold bezel? Maybe a Two-Tone Rolesor appeals to you more. You have the option of either yellow-gold & steel or rose-gold & steel. 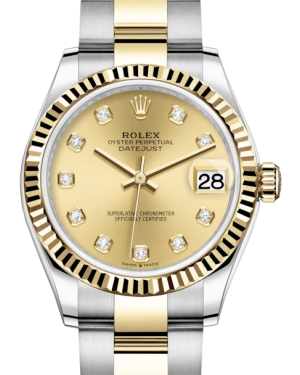 Some colors are only available with yellow gold or rose gold. 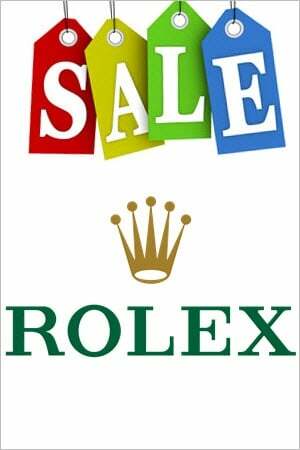 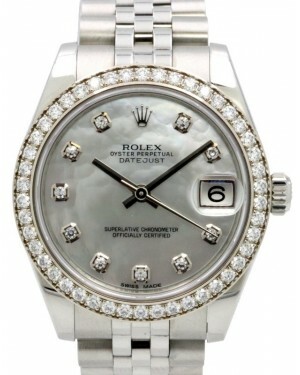 All Rolex Lady-Datejust 31 are available either with an oyster bracelet or the more exciting jubilee wristband. 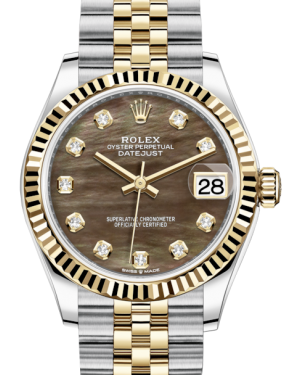 Most Lady-Datejust 31 Rolex watches have stick index hour markers.